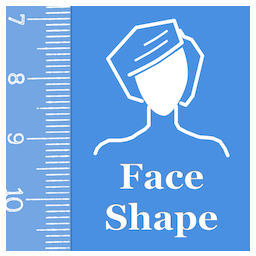 VisTech.Projects: What is my face shape? Face Shape Meter app released for Android. What is my face shape? 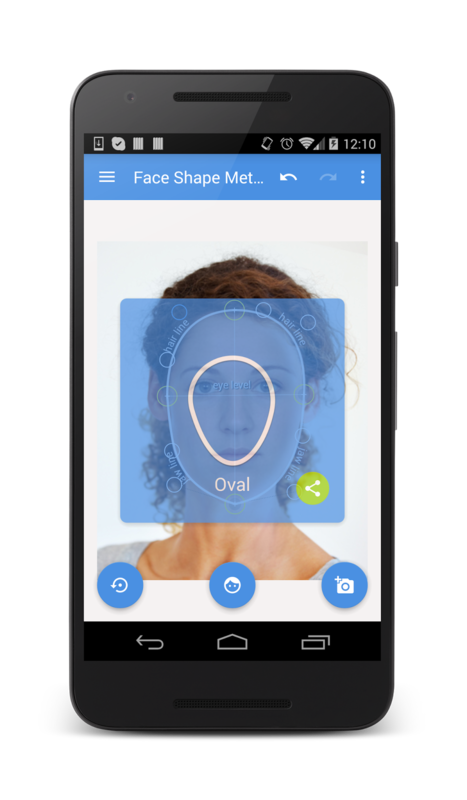 Face Shape Meter app released for Android. Face Shape Meter, a simple and easy tool for detecting your face shape from a picture, has been released on Android OS and available on Google Play. In the app you have options to take picture with front/rear camera or upload face picture from a gallery. For accurate contour adjustment you can zoom in picture as shown on the screenshot above. 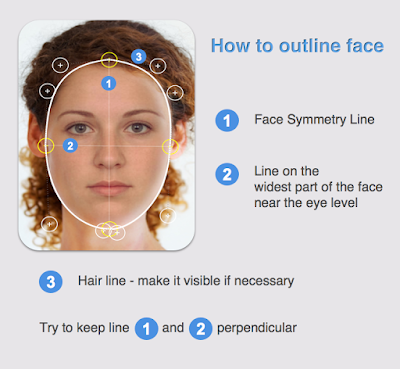 Zooming and dragging of the face contour, and also Undo/Redo and Reset actions make face outlining easy and quick. 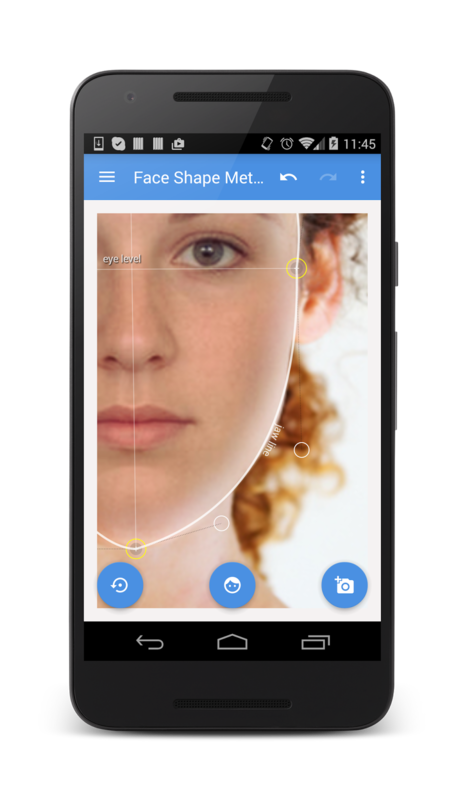 Also you have an option to share a screenshot with your face shape result. The app released as free app with ability to upgrade to full version. In the free version you will be able to run and test the app on your device, work with face contour, see help. ★ You can get time limited access to the full version, if you use our promotional offer available in the app. Also see Help in the app for other details and app control description. For best result use a picture with neutral face expression, where your head is directed straight to the camera. Turning your head might affect the final result. Before measurements make sure your hairline is visible. Thank you for your interest in our apps and please feel free to contact us with any questions or suggestions.